Triceratops prorsus skelet moontit at the Los Angeles Naitural History Museum. 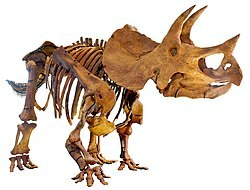 Triceratops is a genus o yerbivorous ceratopsid dinosaur. This page wis last eeditit on 14 Februar 2017, at 22:13.